Authority issues. Have you ever known anyone with authority issues? Authority is the theme running throughout today’s gospel (Matthew 21:23-32, Proper 21A). The chief priests and elders take issue with Jesus’ authority. The two sons challenge their father’s authority. They’re not the only ones with authority issues. And yes, I’m talking about you. I’m talking about myself. We all have authority issues but I am not talking about authority issues in the way we usually understand them. In our usual understanding of authority issues the obvious question in today’s gospel is whether we recognize and submit to the authority of Jesus and the Father. That question, however, is so obvious that I have to wonder if it is really not the question at the heart of today’s gospel. It is so obvious that I think there has to be something more going on. To jump on that question as the obvious and only question to be answered only reveals our misunderstanding of what true authority is. More often than not we are confused about authority. We misunderstand it to be based on credentials and expertise, a thick resume, years of education, successes and accomplishments, status and reputation, or the position held in relationship to another. We assume that authority comes from outside a person and that it is given them by their circumstances. In this understanding some have authority and others do not. “Who do you think you are?” “What gives you the right to tell me what to do?” Or to use a phrase from my childhood, “You’re not the boss of me!” That represents our usual way of understanding authority issues. We don’t like someone else teaching us, correcting us, or telling us what to do. We hear that in the challenge of the chief priests and elders to Jesus, “By what authority are you doing these things, and who gave you this authority?” We see it in the refusal of the two sons to go to the vineyard. There is, however, another authority issue at play in today’s gospel. That issue is our failure and sometimes our refusal to recognize, claim, and exercise the authority within us; to go to the vineyard. That’s the authority issue I believe this gospel is holding before us today. So let me push you a little bit on this authority issue, okay? If you think God is the boss of you, you’ve misunderstood authority. Let go of that idea. God is not the boss of you. God is not the boss of me. God is not the boss of us. God is our author. Every day God authorizes us to enter and sends us into his vineyard, to act in this world with his authority and on his behalf through the gifts he has bestowed upon each one of us. True authority always comes from within. It is an interior God-given quality not an exterior circumstance. That’s what the chief priests and elders failed to understand. I think that’s why Jesus was always so aggravated with the religious leaders. They chose to exchange their God-given authority for human power. Sometimes we do too. That’s what’s happening in much of our world today. In the absence of true authority there will always be power struggles. Look at the gridlock in our political system. Look at the wars throughout the world. Look at the conflicts in your own relationships. Those are about power, not authority. Our leaders exercise power but very few exercise authority. In the exercise of power we look to our own interests but in the exercise of authority we look to the interests of others. Think about the people who hold authority for you. They are not concerned about themselves. They do not dominate or control you. They inspire you. They call forth from you faith, hope, and trust. They expand your world, open new possibilities, and bring forth life and gifts in yourself that you never knew were there. They cause you to reevaluate your life, change your mind, and live differently. That sounds an awful lot like Jesus and it’s very different from those who exercise power. I will always remember and give thanks for the authority of Fr. Kelly. A couple of weeks ago I went to his funeral believing that I was the most important person in his life. When I got there I realized everyone there thought the same thing about themselves. That was not manipulation on Fr. Kelly’s part, it was his authority. His silence, listening, presence, and wisdom were not just his personality traits they were the divine attributes in his life, gifts God had bestowed upon him, that created space and place for me and for others, that invited us to discover our own authority, that showed us the way to the vineyard of our lives. There are people in this parish who have no leadership position, title, or theological credentials and yet they have such great authority. I see it in their compassion and gentleness. I hear it in the way they pray. I feel it in their love for me and others. They too show me the way to the vineyard of my life. That’s what authorities do. But it’s not about them. It doesn’t come from them. All authority originates in God, but it is not exclusive to God. God shares his authority with us. The authority God shares with us is nothing less than his own divine attributes. It is the expression and manifestation of God’s life in and through our own. That shared authority exists in us and is revealed by us as the many and varied charisms, the gifts, God has imparted on each of our lives. That means every one of us has authority. As your priest I do not have more authority than you. I do not have better authority than you. I just have a different authority. God gives each of us gifts and authority unique to our lives. God is generous, extravagant, with the gifts he gives and the authority he shares. We all have God-given gifts and authority. There is no one without authority. The difference isn’t that some have authority and others don’t. The difference is that some recognize and exercise their authority and others do not. Regardless, God knows and sees the authority he has given us and waits for us to see and know it too. And when we do, we change our mind and go to the vineyard. So let me push you a little bit more on your authority issues, okay? 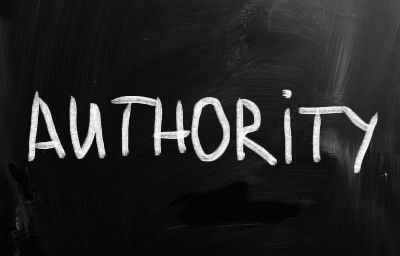 What is the authority God has given you? What gifts, what divine attributes, has God bestowed upon you? Are you living from that authority and sharing those gifts? Have you gone to the vineyard or are you simply mouthing the answers you think God wants to hear? Thank you Jack. I appreciate you reading my blog.